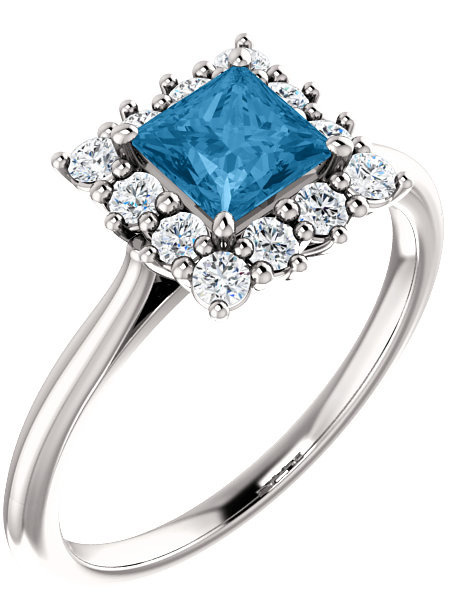 Swiss-Blue topaz is a playful gemstone, bright and intense, and almost electric in vivid color. It is perfect for creating a style statement that is sure to become a fun trend! 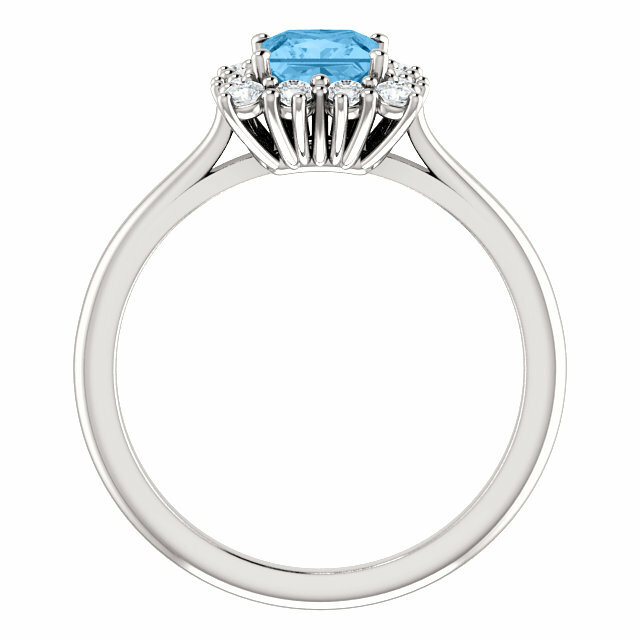 This original design features a gorgeous bright Swiss-Blue topaz gemstone in a princess-cut shape surrounded by a halo of sparkling round-cut white topaz gemstones. The 5mm x 5mm size makes this ring large enough to capture attention, yet small enough to wear every day. Apples of Gold Jewelry presents this beautiful "AA" quality rated Swiss-Blue topaz ring, set nicely onto a .925 sterling silver ring and perfect for giving someone who enjoys a bit of sparkle in their day! 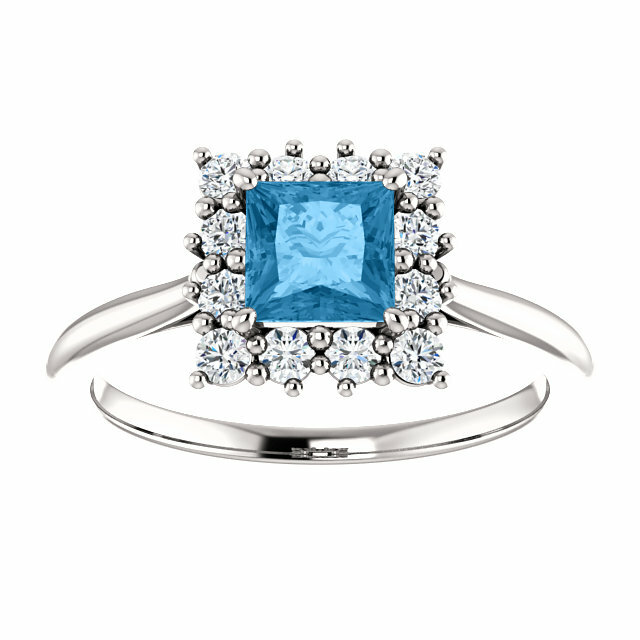 We guarantee our Sterling Silver Swiss-Blue Topaz Square Princess-Cut Halo Ring to be high quality, authentic jewelry, as described above.